ADNOC was established in 1973 as the first UAE government-owned company specialised in the marketing and distribution of petroleum products within the United Arab Emirates and internationally.As one of the region’s largest and most innovative petroleum companies, ADNOC Distribution is renowned and respected for the exceptional quality and reliability of its products and services. 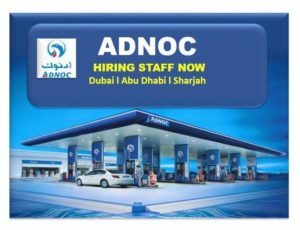 Today ADNOC Distribution owns a wide network of service stations, Oasis stores, standalone Autoserv car care centres, Salama vehicle inspections centres, multi-product depots and aviation fuel depots. Empowering daily life, ADNOC Distribution excels at meeting the nation’s energy needs and sustaining its growth.Our profit-centric orientation and commitment to superior quality allow us to continue to meet the energy needs of our customers. Being the UAE’s largest fuel supplier to the community, Adnoc periodically assess its needs and expectations and try to provide more services to them. Adnoc also contribute to social investmentand community development programmes. ADNOC Distribution acted as a gold sponsor to a number of community forums and conferences organised by Sharjah Social Services Department (SSSD) throughout 2014. The company helped with the hosting of the fifth Social Services Conference in April 2014, the fifth Scientific Forum under the theme ‘Enough Violence’ in June 2014 and the third Elderly Services Forum, which marked the International Day of Older Persons on October 3. Adnoc care about employees and provide them with a positive environment that supports families, financial security and growth. Employees get training programmes for both on and off the job, as well as receive regular performance appraisals. Adnoc are very competitive with our employees’ annual leave plans and offer attractive salary packages.